American Horror Story by creator Ryan Murphy has come back with the latest seasonal installment of horror and thus far it has definitely been a good season. Evan Peters and Sarah Paulson return to new roles once again, and they have the lead roles this season. 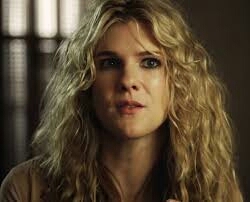 They are the only two actors to have been in every season of the show up to the current moment, although Lily Rabe has appeared in all the earlier seasons. 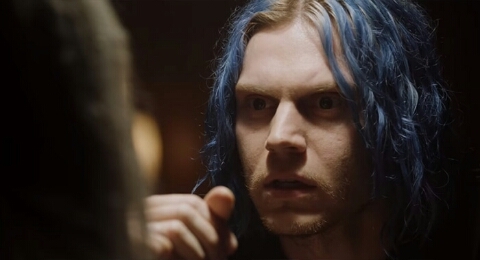 Evan Peters plays a character named Kai this season, and he has political aspirations. He also plays a cult leader who uses murder and fear to further his political aspirations. Kai secretly commits crimes using his cult members and then steps in politically to claim himself the hero by speaking out against the crimes. In the latest episode Kai is finally elected to the city council seat he has had an eye on all season. This is of course the seat left vacant by Kai's first cult target and murder. Kai is a man you love to hate this season. It's also rumored Evan Peters will be playing other serial killers in flashback from this season including notorious Charles Manson. 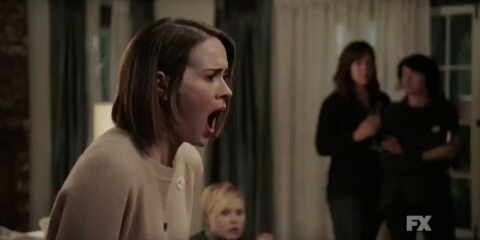 Sarah Paulson plays Ally this season who is a woman plagued by phobias including a clown phobia, as well as a phobia of holes. We recently discovered that Ally's wife is a member of Kai's cult and this is what has led to her becoming a target of Kai's cult. They have slowly set Ally up this season by playing on her phobias and ultimately setting her up for murder and Kai's attempted murder. As usual Sarah Paulson has brought a depth to her character that makes you want to root for her. Newcomer Billie Lourd, known for her role on Scream Queens, plays Winter who is Kai's sister. She is quickly becoming a favorite of mine, as well as of fans of the show. This far she has stuck by Kai, but she has recently turned to the appearance of a character played by Frances Conroy. 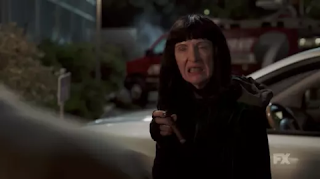 She emerged in the last episode as the woman who shot Andy Warhol, as well as the leader behind an all female cult who were behind the Zodiac killings of the 1960s. This season certainly is emerging to be a good season full of twists and turns. Paulson and Peters have led the charge of the show this season successfully. Fans certainly have a lot to be proud of, as well as look forward to. I have personally been entertained by American Horror Story Cult and predict it to be looked at as one of the best seasons in the series anthology history. The show appears on FX on Tuesdays at 10.